Going into a nursing home is a necessary transition for many Florida seniors as their mental and/or physical issues become too complicated to manage at home or another more independent setting. A quick perusal of the terms nursing home facilities expect of their residents reveals how expensive and out of reach this care is for most people. Medicaid is a federal and State managed financial assistance program that provides benefits to seniors who require nursing home care. The need to move into this living situation can come upon a person suddenly, which does not allow him/her time to seek qualification for benefits before agreeing to the rates a nursing home charges – an amount that routinely reaches $7,900 or more per month for a shared room in Florida. This number can quickly deplete assets. Until a recent change, a senior entering a nursing home who met the financial eligibility rules, had 90 days to file their application for retroactive Medicaid benefits. Qualifying for Medicaid can be a complex process, and the new rule will make it significantly more challenging for seniors to get the assistance they need during the initial months, potentially leaving the patient responsible to pay the entire cost for those first few months. A discussion of the new rule on the window to apply for retroactive Medicaid, and how it may affect eligibility generally will follow below. 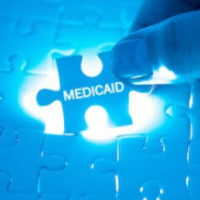 Medicaid is a federal program, significantly administered through the States, that provides financial assistance to the poor, disabled, and elderly. For elderly recipients, the event that typically triggers the need for Medicaid eligibility is entering a nursing home, an event that is often unpredictable. Since the program is substantially managed by State agencies, they are free to propose changes in the rules, but must obtain federal approval before implementation. Under the new rule, eligibility will only be retroactive to the first day of the month in which the applicant meets the financial eligibility rules, AND files the application. The application has to be filed in the initial month for which eligibility is sought. The change will go into effect on February 1 and will run until June 30, but State legislators can vote to extend it. Transitioning to a nursing home, particularly if unanticipated, can be challenging. It often involves determining which facilities are accepting new residents, and then visiting and evaluating multiple facilities, to find the best fit. Once located, the first several weeks are taken up with extensive paperwork and getting the senior settled in. Allowing eligible seniors 90 days to file the application for benefits, which, when approved, would provide assistance retroactively for those initial months, reflected the complexity of this process. It can take considerable time and effort complete the application, and compile the required supporting records. Under the new 30-day limit, seniors and their families will have an unreasonably small window of time to accomplish all of this, which makes it imperative to speak with an attorney about Medicaid planning and even begin the process at the earliest possible time, possibly even a few months before the expected need for these benefits actually arises. If the filing of the application is delayed a month or two, the resident will be responsible to pay the full cost of the nursing home care for those initial months. As a result of this new rule, seniors and their families will need to take action more quickly and plan in advance to avoid this outcome. Medicaid nursing home benefits are a lifeline many residents need to get appropriate care, and if you are facing an imminent move to a nursing home, or just want to plan for this possibility, talk to William Rambaum. He understands this complex area of law, and can help you structure your assets to meet the qualification standards. Call today to schedule an appointment.